There was a great turn out for the third, chilly but sunny Agile on the Bench last Wednesday lunch time, thanks for everyone that made it along and contributing to the discussions. We had three great speakers, Craig Strong talking about value, Darci Dutcher on goals and the psychology writing things down and John V Willshire talking about flow engines. Bob Maurer speaks about Kaizen and small steps to beating the fear of change. 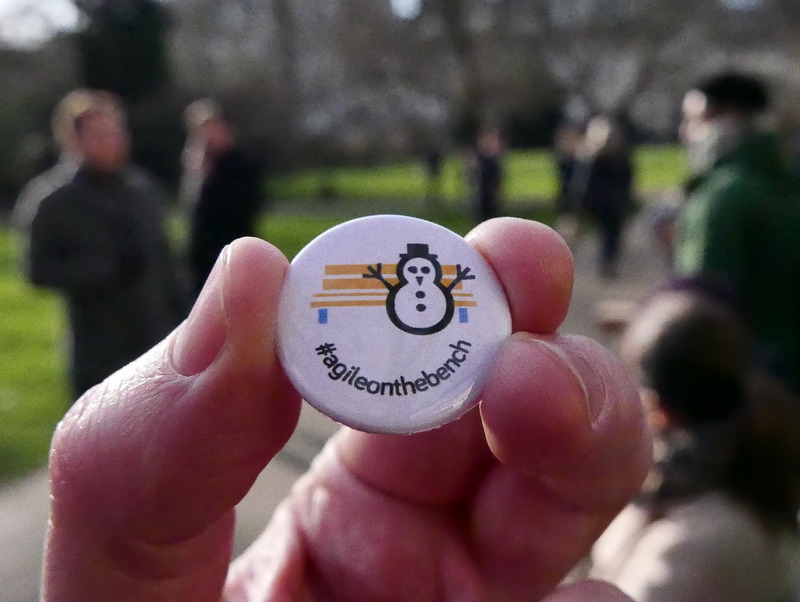 If you want to know when the next Agile on the Bench will be, register your interest at agileonthebench.co.uk. To find out about previous events, go here. Featured photo by John V Willshire.